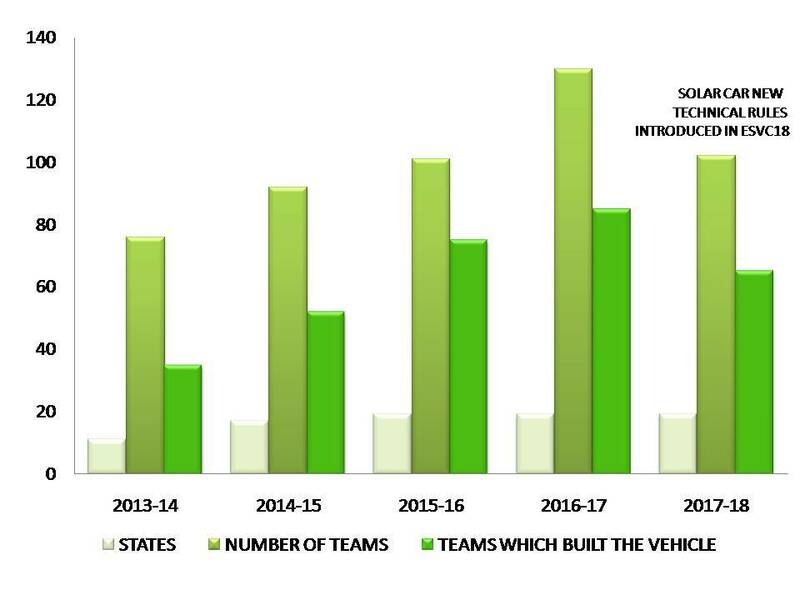 History of Electric Solar Vehicle Championship (ESVC) goes back to 2013 when the founder &President of ISIE-India, Mr. Vinod Gupta had a vision, a dream of Solar/Electric Mobility. 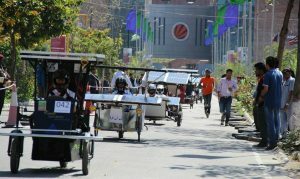 An India which was efficient, resourceful and world leader in machines powered by green and renewable energy sources. Believing in ideology – “Youth is the future of a nation. 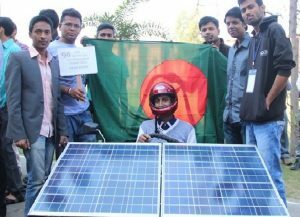 To change a nation one must change the thinking process of the youth.” Following this principle to achieve his dream he launched ESVC 2013, at a mere age of 22 years, as an initiative to encourage the future engineers of our country towards building a vehicle which can run on the most abundant natural resource on our planet – solar energy. 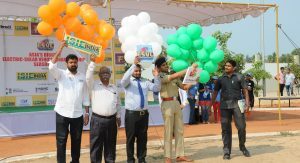 The Event was inaugurated on 27th March 2018 in the presence of our Chief Guest, Shri Kamlakar Babu (VC & Managing Director, NREDCAP) and our special guests, Mr. Nanda Kumar(Head Hybrid & Electric Vehicles, BOSCH), Mr. Venu Gopal Rao (Head Business Development, Lohia Auto), Mr. Vikram Reddy (Technical Head, Lohia Auto) and Mr. Saurabh Chaturvedi (CEO, Innolabz). 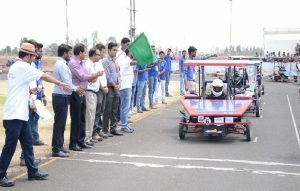 During the event many guests visited the event and motivated our youth by interactions and Guest lectures like Mr. T N Sundar (Corporate Manager- Tyre Uniformity,Race & Rally, MRF), Sri K. V. Vishnu Raju (Chairman SVECW) and Mr. 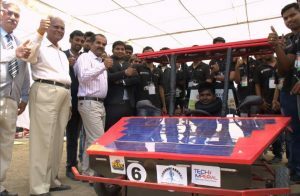 Deny P Julice (TCS), Mr. Nanda Kumar (Expert Hybrid & Electric Vehicle, Bosch), Dr. Sitarameswara Sarma Akella (Head – CAE, CFD and Methods, Mahindra & Mahindra Ltd.) & Mr. V V Satyanarayana(Lead Enginer DesignCOE – R&D Powertrain, Mahindra & Mahindra Ltd.). 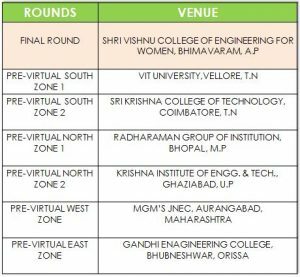 On 1st April, Our Chief Guest Shri SK Jagwani (Director, MNRE), Guest of Honour, Mr. KC Vora(Deputy Director , ARAI & Chairman SAE India) and special guests Dr. Sitarameswara Sarma Akella (Head – CAE, CFD and Methods, Mahindra & Mahindra Ltd.), Mr. V V Satyanarayana(Lead Engineer DesignCOE – R&D Powertrain, Mahindra & Mahindra Ltd.), Sri. 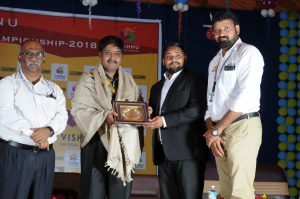 KVR Kishore Babu(General Manager – HR, Schwing Stetter India Pvt Ltd), Sri. 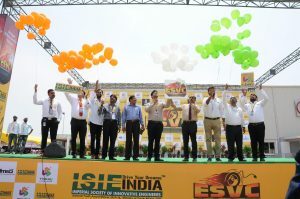 J Muniratnam (Chairman Aerospace, SAE INDIA), Dr. Rajinder Kumar Soni(Professor, Deenbandhu Chottu Ram University of Science & Technology) & Sri R. Ravichandran(Vice Chairman, SVES) interacted with Final Round Teams , flagged off the Endurance Round of ESVC18 and distributed the Awards to winning Teams during valedictory ceremony. 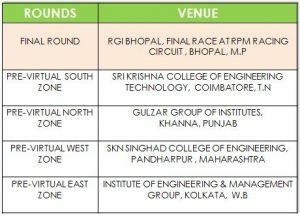 First time, An HR Meet organised during the motorsport event. 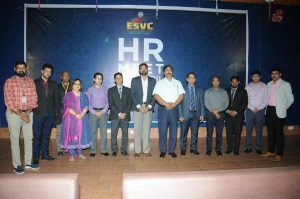 ISIEINDIA in collaboration with Innolabz and SVECW organised the HR Meet on 2nd April on the very important topics of today’s scenario, Employability and Design & Innovation in Sustainable E-Mobility. 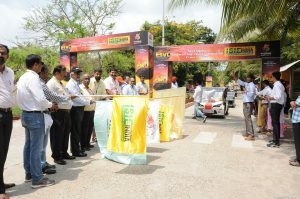 The event was inaugurated by Arish (Additional SP, West Godavari District, Andhra Pradesh) and Dr. K. Lakshmi Narayana (Director APSSDC, Andhra Pradesh). 85 out of 130 teams qualified for the dynamic event. 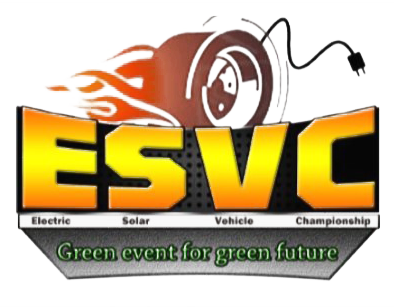 ESVC 16 was inaugurated by Rajendra Shukla (Minister of New and Renewable Energy Sources), Shri Manu Srivastava (MD Urja Vikas Nigam), Shri Rameshwar Sharma (MLA, Bhopal) and many honourable dignitaries. 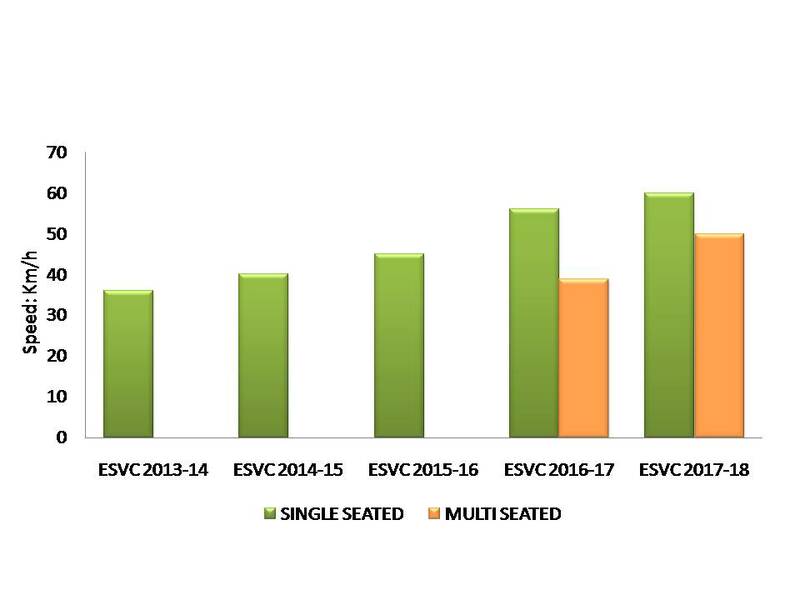 ESVC 16 was also appreciated by Mr. Roy Jacob (Director, Confederation of Indian Industry (CII)). 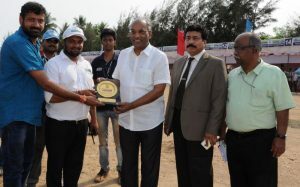 The final race was flagged by Mr.C.P. Sharma (Chairman, CII, and owner of Daulat Ram Industries). This event was appreciated by Director Punjab Energy Development, top industries, professors, and media personals too.